"Playground of the Past (But Just as much fun)"
I finally got a chance to check out the much raved about Imagination Playground at the South Street Seaport. 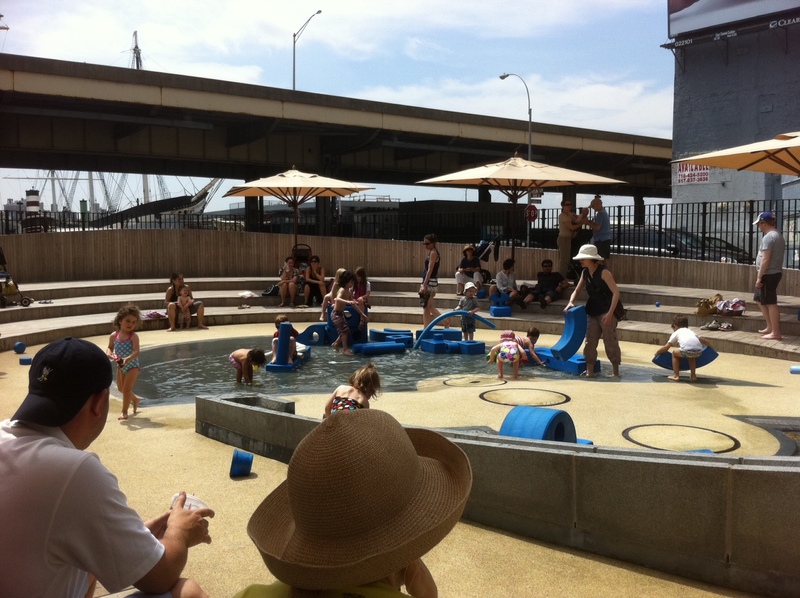 I’d read so much praise about architect David Rockwell’s “revolutionary” playground in the NY Times and the New Yorker. That, along with a $7 million price tag, had me having very high expectations. It is supposed to be “a breakthrough playspace concept designed to encourage child-directed, unstructured free play,” which is a pretentious way to describe a sandbox, sprinklers and some blocks. The idea is that children play with the “loose parts” (big foam blocks) in conjunction with the water and sand, and watch their creative minds go! Nate did enjoy playing in sprinkler, and sand and with the blocks, as did most of the other children. 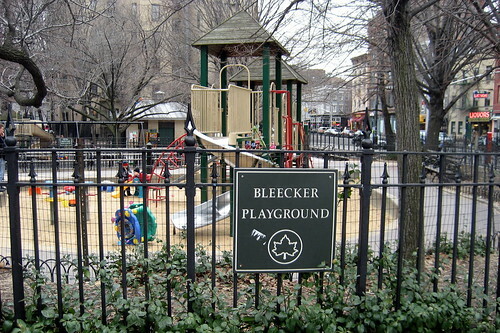 But later that day we stopped by the Bleecker Playground with its traditional playground sprinkler, sandbox and assorted cast-off toys, and he just as much fun. Not sure how much his brain grew, but at least I didn’t have to listen to a treatise of the sprinkler’s drain system and the havoc sand can cause. And neither of these hold a candle to the Pier 6 Brooklyn Bridge Park playground, the Xanadu of playgrounds!